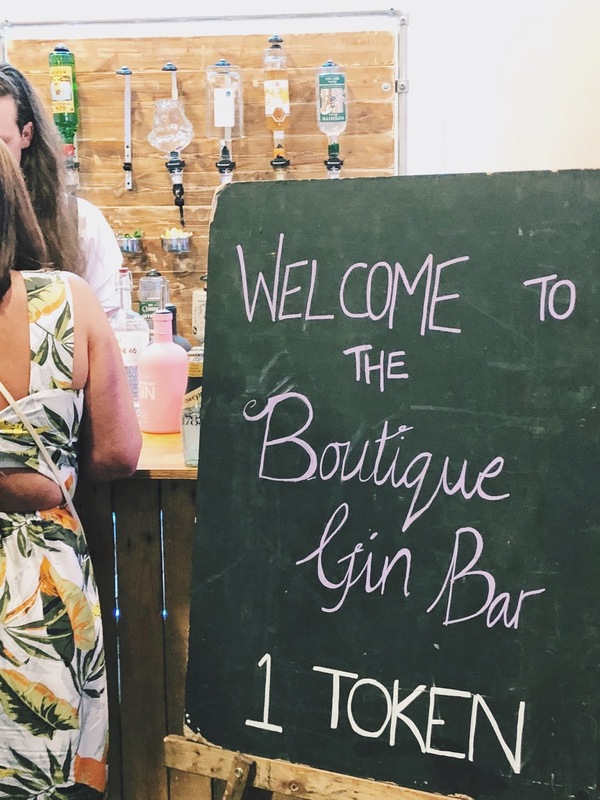 THE GIN FESTIVAL - WHAT IS IT REALLY LIKE? A usual Friday night for me includes a home cooked meal, a bit of television, and an early night. My previous Friday night was more than a little different. A while ago, I was invited to attend a Gin Festival in Newcastle and, given the usual quiet nights that I usually choose, I thought it would be nice to do something a little different. So Jamie and I packed our bags, headed up to Newcastle and, after a mooch around town and dumping our bags at his brother's flat, we got dressed up for the event. Now, here's the thing, I'm not a massive drinker. I mean, I drank quite a bit of alcohol after I'd turned 18 because of the novelty of it and the parties with friends but, as I've matured and found myself, I've realised that it's not really something that I want to do really often. I certainly don't drink to get drunk; it's more about the taste for me. So I'm quite accompanied to the odd cocktail here and there. Gin is the kind of spirit that, although I've tried it a few times here and there, I'd never really learned and appreciated it - so this Festival seemed like the perfect opportunity to get to know it a little bit better. WHAT IS THE GIN FESTIVAL? Any gin lover right now is probably screaming 'Tell me more!'. 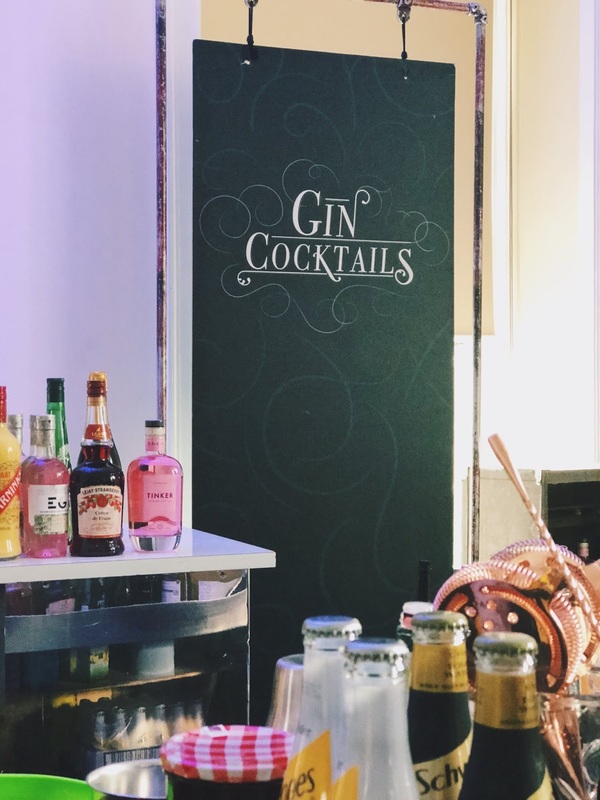 Well, this event is the UK's original touring Gin Festival and has been moving around the UK, sharing exciting Gin's, since it was founded in 2013. At the Newcastle Event, there was a showcase of more than 80 different Gins for everyone to try. The Gins chose for the events tend to be flavoursome spirits that are home-grown and unique; for example, Friday's selection included Mason's Gin which is produced in Bedale, Yorkshire. 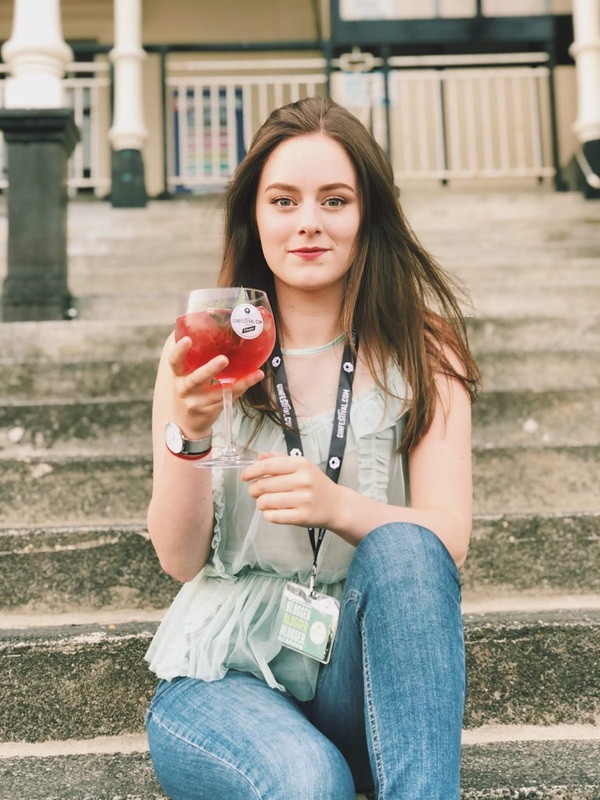 As well as this, there isn't a green Gordon's or Tanqueray bottle in sight - this festival is purely designed on learning all about the wonders of gin produced closer to home and for tasting the incredible different flavours. 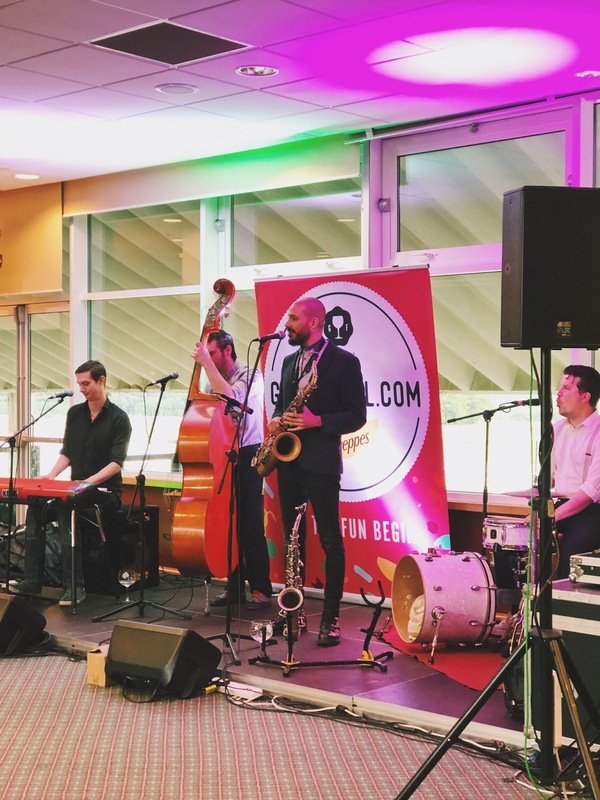 This particular event was hosted at the Newcastle Racecourse in Gosforth; the Gin Festival always seem to host their festivals at great venues. I'd attended an event here before and thought it was pretty great so I was already excited to be back. When we first arrived, Jamie and I did feel a little lost despite the fact that we'd been before. There weren't any signposts along the road to direct us (yes, poor Jamie ended up driving so, unfortunately, couldn't have a drink) and not many people around. Despite this, we quickly began to realise once we'd entered the venue that, this wasn't the typical kind of event that the Racecourse hosts, and took on a very civilised and calm approach. I actually found it really welcoming that we were personally greeted by one of the members and staffs and explained to how everything works. The entry for the Newcastle evening started at £10 then, inside the event, payment was based on Tokens. You can buy a set of 4 tokens for £20 and 1 token equates to 1 G&T, or 2 tokens for a cocktail; to put it the easy way, a Gin and Tonic is £5 and a cocktail is £10. A decent system if you ask me. There's little confusion about it all and the staff were more than happy to answer any of our questions. It's also easy to grab your tokens at the special 'Token Station' as everything inside the building was perfectly signposted within. Inside the venue there were 4 main rooms; the Cocktail Bar (where the bar staff are brilliant, btw), a Bar where you can choose a G&T from around 80 Gins and 9 Schweppes types, the 'Masterclass Room' where you can go on every hour to hear from the Gin Brands themselves and learn a little bit about their products, and 'The Brands' room where you can chat with a few different brands and sample the different types. My FAVOURITE part of learning how it all works was at the start when you're given a glass to house your drinks throughout the night but also told you can KEEP IT! I was delighted to finally have my very own gin glass. The Gins that I particularly had my eye on were the Sovereign Spirits Elderflower & Gooseberry Gin Liqueur and the Mason's Lavender Gin. I'm a sucker for the sweet florals so these two were recommended to me. In fact, one barman said that the Sovereign Spirits Gin Liqueur was the best tasting on the entire bar, so he seemed to have high hopes. As well as this, I'm a typical girl when it comes to Gin and, if it's pink, it's mine. The Tinker Gin Pink is a strawberry infused wonder and went absolutely perfectly in my Tinker Berry Fizz Cocktail. The cocktail also included Prosecco, Elderflower cordial, Creme de Fraise, Cranberry Juice, Mint and Lemon and BOY was that delicious!! I could have sat and sipped on that one all night. However, of course, there are more mature cocktails to choose from such as Spanish Tuxedo which includes City of London Christopher Wren, Sherry, and Fig Liqueur. Very fancy! But, who am I kidding - I knew mine was going to be Pink so I was straight in there. Yet, there is definitely something for everyone's taste. One of the things that I really enjoyed when I was at the bar was getting the recommendations from the bar staff - they really do seem to know their stuff. I was going to use one of my tokens on a 'Take Away Tipple', which is a 25ml glass to take home with you that can be selected from any of the gins, as a gift from my Mum (who likes a little (big) Gin or two (five)). I asked a bartender which Gin I should go for as a gift for Mum if she had a particular taste for the higher end, crisp gins. With absolute ease, I was recommended a great bunch of gins and I thought it was such a great way to add a personal touch to a little gift. 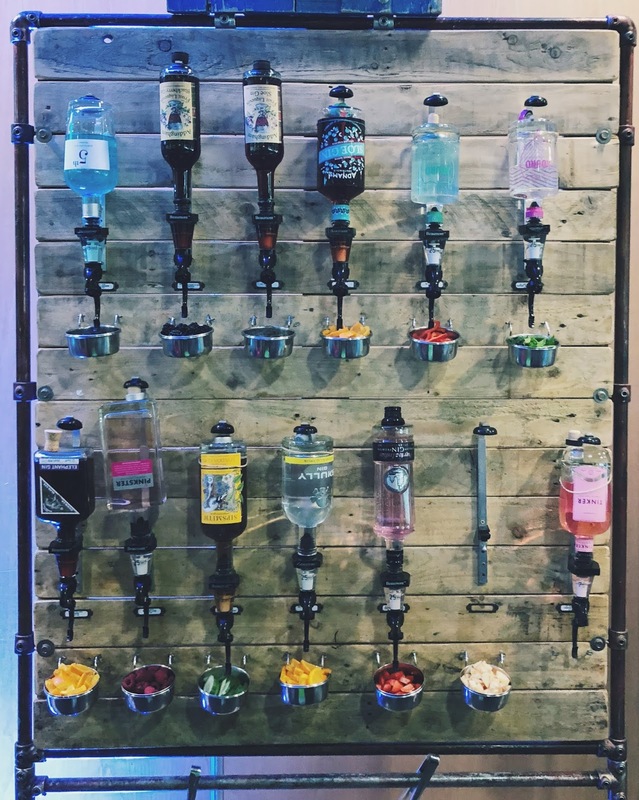 After you've been over to the bar, you head to the 'Mixer Station' where you can choose from a selection of Schweppes mixers. This station is where you could choose to add Light, Crisp, Salty Lemon or Cucumber Schweppes Tonic Water, as well as Schweppes Lemonade, Ginger Ale, or Soda Water. 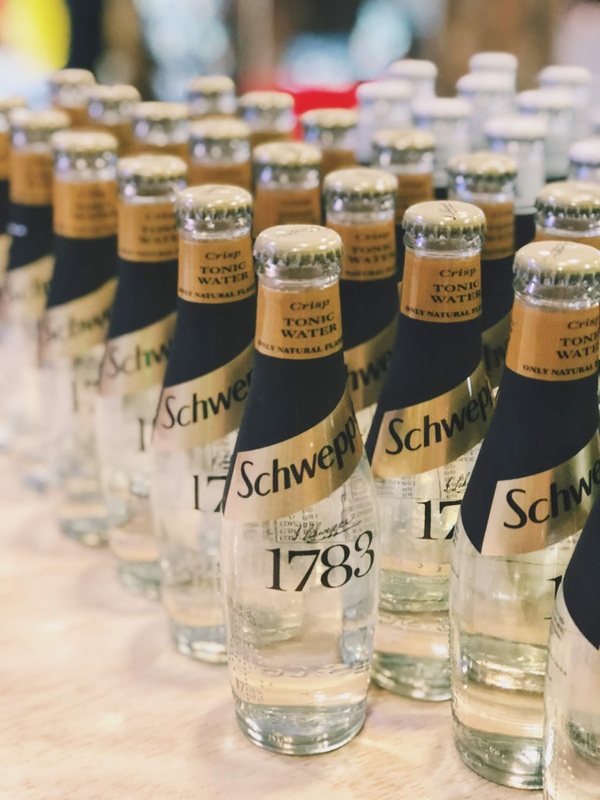 I loved all the different types of Schweppes Mixers and how they were perfectly put on display but I especially thought that having the stations was a unique and effective way to make up one's perfect drink. To me, it's always the atmosphere that makes a place. As I said earlier, when I first walked in it felt pretty quiet but, as the night grew old, towards 9:00PM there was brilliant jive band playing upbeat music, lots of conversations going, and even a photo booth with funky props. If I could've stayed a little longer, I would definitely have stayed in the Bar-room because of how jolly the atmosphere was. As well as this, the 'Masterclass' sessions with representatives from the Gin Brands were interesting - the room was only small so it had a lot of people packed in but the gentleman representing for Mason's Gin wasn't shy of a few cracking jokes here and there and lighting up the audience. I actually learned quite a lot from the class too, from the meaning behind the name 'London Dry' to the types and styles of distilling Gin. I probably couldn't speak more highly of this event even if I tried. It was such an enjoyable night, even for a Gin newbie, but I suspect it would be like a true heaven for anyone who really knows and enjoys their gin on a bigger scale. All in all, despite the odd things that I'd wish to be improved like the directions leading up to the venue, perhaps some cocktail-making masterclasses, and an even wider cocktail menu, I do believe that this event was put together brilliantly and I would love to attend it again - without a doubt! There are so many more dates for this Gin Festival as it tours the country, so you should definitely have a little look at when your local Gin Festival is going to be and pop along. You can find food and drink festivals near you by taking a look at Eat, Drink, Seek. 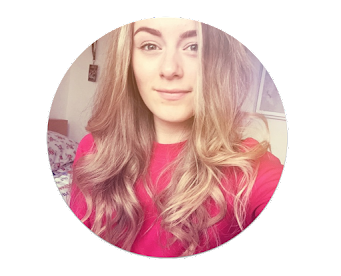 It's so simple and easy; all you have to do is add in your location, the maximum amount of miles you wish to travel, and the type of festival that you want to attend, whether it's food, gin, beer, or more, there's definitely something for everyone. I can't wait to find more festivals near me and share them with you all. Sounds like a great event. I'm not much of a drinker but if I do, it's gin! elderflower and lavendar sound great! I went to a gin and prosecco festival last year - such a lovely way to spend a weekend! This sounds absolutely brill- your photos are amazing! It sounds like the organisers got every single detail right! Sending you good vibes!